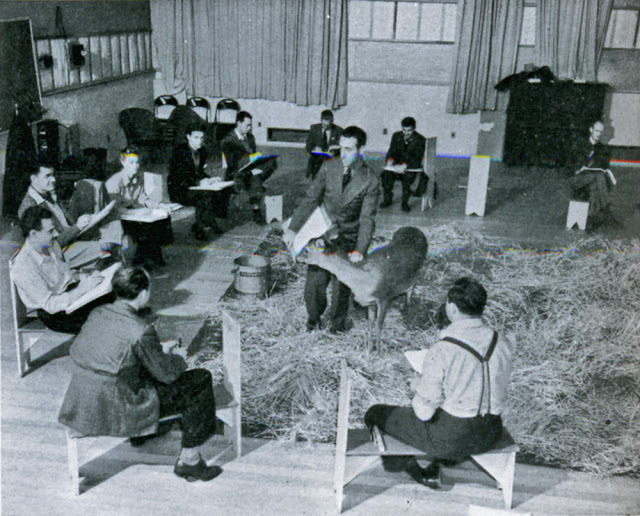 Rico Lebrun (1900-1964) was an Italian-born painter / sculptor who made important contributions in teaching animal drawing. He studied mural painting in Naples and Florence before coming to America. 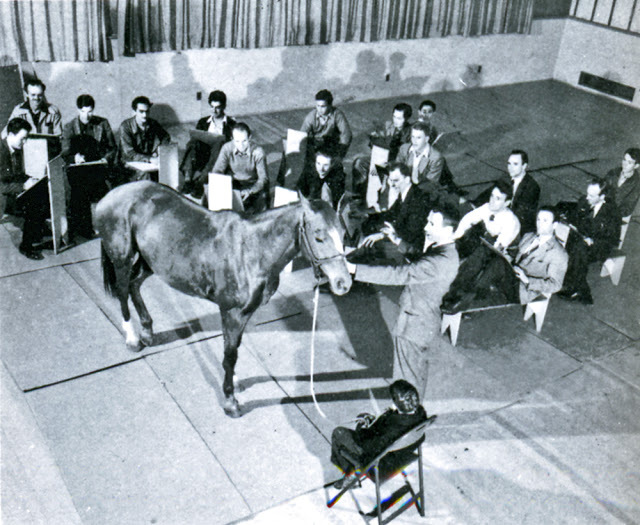 He taught at Chouinard Art Institute and then at the Disney Studios. 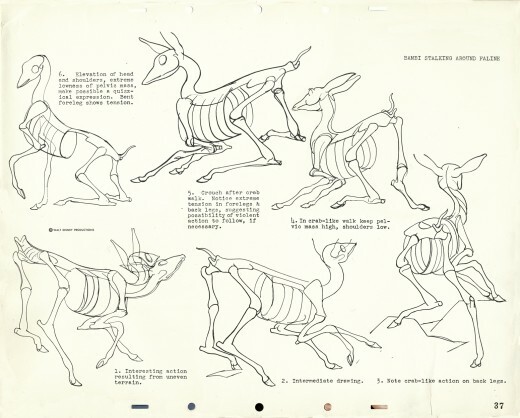 Joining another great teacher, Don Graham, he helped animators understand animal anatomy as they worked on the film "Bambi." 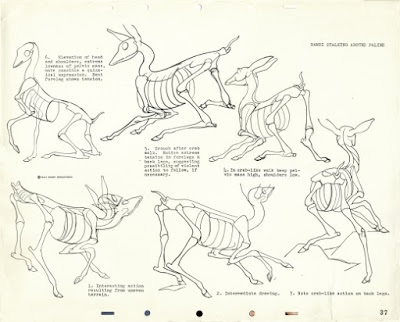 To help Disney's artists, Lebrun created model sheets simplifying the skeleton to a mannikin. He put the mannikins through their paces, emphasizing the flexibility of their spines and the line of action of the poses. Lebrun was concerned that the animators ground their work in reality. He said, "You really have to go to nature. The little fawn is a pretty big handful in the sense of grace. It's all there. . .the real thing has got it. What you have to do is make a poetical translation of it." In the photo all students are adults. Mr. Gurny, how do you think it is not too late to learn to draw at the age of 20-25? I already missed the moment of entering the university. Now I study independently with a mentor. It is a little upsetting. Thank you so much for your answer and support. You comforted me! By the way, recently bought your book "Imaginative Realism" translated into Russian. I have been waiting for the translation for many years, and now I am very happy. Thank you for your hard work! Both Post & Comments are a really two wonderful resources in one! Thanks to both of you! Mr. Lebrun really went to the bone! 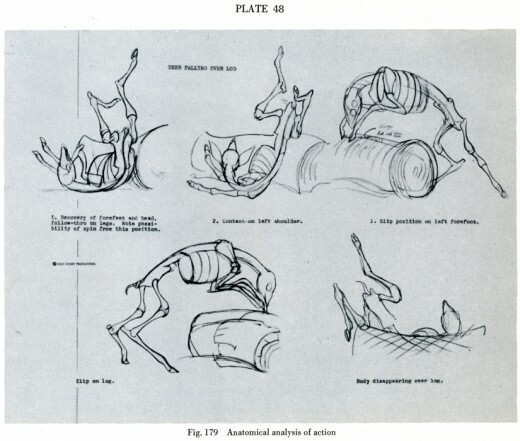 Beautiful model sheets; anatomical poetry. 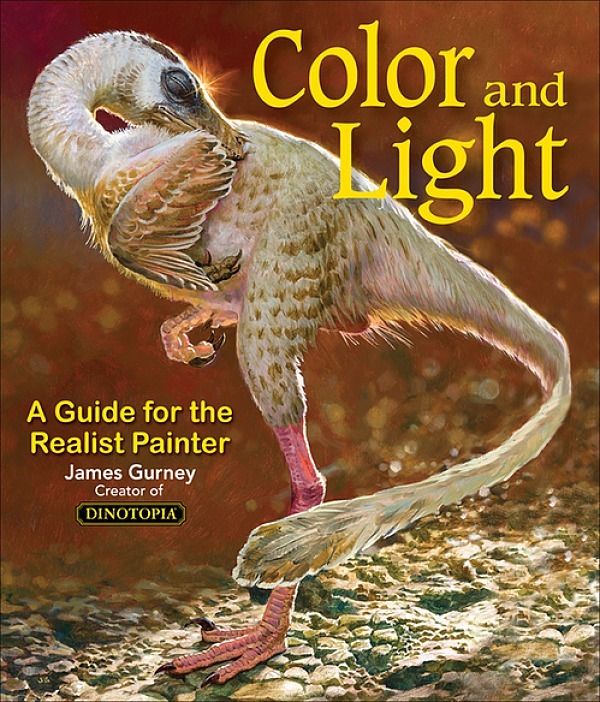 Color and light book is fantastic, on page 179 it shows a wonderful waterfall and I was wondering how someone would approach painting a waterfall? ...and wet-into-wet painting. But it's hard for me to give a pre-set recipe because every waterfall, and every painting medium, is different. 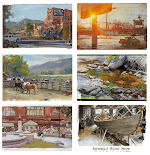 Basically, you should learn a variety of basics of paint handling, and then go observe an actual waterfall and try to capture what you see, translating your observations into the materials of paint.